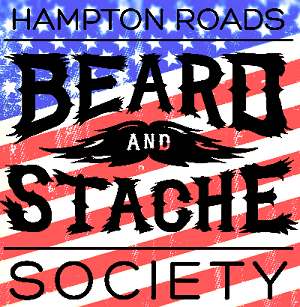 Josh Kimm, founder and president of the Hampton Roads Beard and Stache Society and The Beardcaster get together to talk about the Whiskers of War 2017 competition and other assorted bearded fun. We talked about our distaste of the mustache and a few major reasons we both don’t care for mustaches. Josh talked about a funny situation where he was a victim of a bearded stereotype and we dove into the world of the stereotypes related to certain styles of beards. Vetshouse is the charity the club is raising donations for, and this is their 3rd year doing so. Make sure you are subscribed to the podcast by going to: www.thebeardcaster.com/subscribe and make sure you tell all your friends to listen! Proceeds to Benefit: Vetshouse, Inc.
*Online registration ends Wednesday, November 8th at 10:00 p.m.
*Final Competitor registration will be the day of the event until 7:00 p.m.
Coming from Cleveland, OH. She is the Treasurer of Beards of the Old Northwest and has been in bearding for 4 years, competing for the last 2 of those. She was our Creative Best in Show Winner last year with her Doughnut and Sprinkle beard. When she is not bearding, she is hanging with her husband and kids or riding her motorcycle. She is so happy to be coming back down to Virginia Beach this year, and is looking forward to seeing everyone! Ryan began growing his current beard almost 3 years ago after shaving for his wedding photos in August 2014. He is a hard working father who enjoys coaching youth sports and working with kids and he has been involved in Boxing and Martial Arts for over 20 years. This led to his nickname in bearding as the #GingaNinja. Ryan began competing in beard competitions in December 2015 and has participated in approximately 20 competitions, placing in the top 3 in all but a few. He is a Disabled Air Force Veteran and suffers from Ulcerative Colitis. He believes the best part of bearding is meeting the amazing people that come together with different reasons but a common goal to help charities and raise awareness and funds to help others in need. He pledges to stand for and donate to help prevent veteran suicides through #TogetherWeCan and help kids through the Crohns & Colitis Foundation of American. His son Jaxon competes in Kids Creative Beard Category along with Ryan when possible. His wife Liz and his son are his true motivations to work hard in this world. He is proud to be sponsored by Mad Viking Beard and Mustache Company on his bearding journey and he uses their products daily to help keep his beard looking its best. Hiking straight out of the Smoky Mountains in Tennessee, DC is a tool belt wearing, ladder climbing, nail gun slinging framer by week and a whiskey drinking, lake life loving beard enthusiast by weekend. He is the founder and President of the Marble City Whisker Society in Knoxville, TN and has competed in a few competitions across the country. He might also be known for his beard care company, Wild Hare Soap/Jack-a-Lope Brand. He has placed in a couple of competitions. 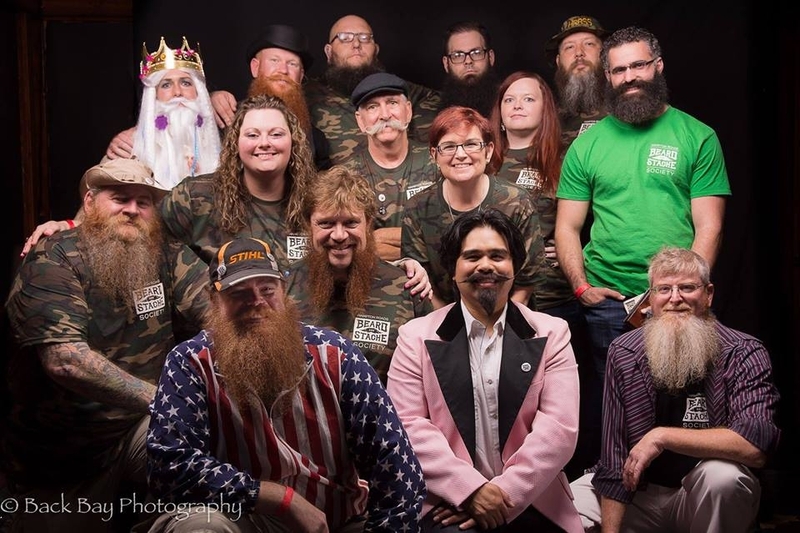 One just happened to be first place at the NABMCA Remington Beard Boss Great American Beard & Moustache Championships in Natural Full Beard with Styled Mustache in Denver, CO and was recently awarded the 2017 American Beardsman of the Year award in Charleston, SC. He has also become good at giving inspirational speeches, especially when Jack Daniels gets involved. So, you may want to watch out for that. 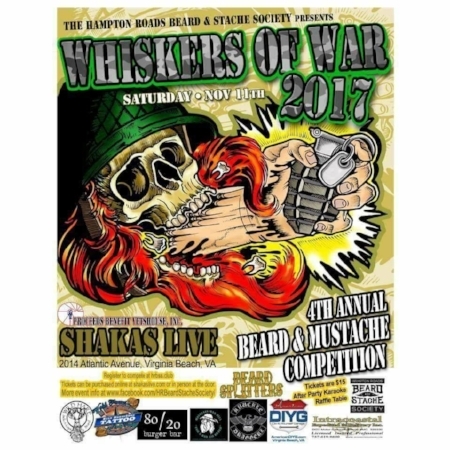 DC has been a long time supporter of Whiskers of War and we are happy to have him serve as one of our judges this year. Big John is Co-Owner and Barber at Lionshead Barbershop in Norfolk, VA. He is also the creator of Lionshead Grooming Products, specializing in old school Pomade, Soap, and beard products. Needless to say, he knows a thing or two about facial hair. Several of our members trust John to keep their follicles looking good with haircuts and beard trims. Thank you for joining us this year John! The husband of Creative Moustache World Champion Amy Roberts, Chad Roberts has been a competitive Beardsmith since 2011. He is the President and founder of the RVA Beard League, and he serves as a Vice President of the North American Competitive Beard & Mustache Association (NACBMA). With over 70 competitions under his belt on both sides of the judging table, Chad has taken home a number of titles over the years. You can find Chad in the background of Steven Spielberg's Oscar winner, "Lincoln," on the pages of the 2015 edition of "Ripley's Believe It or Not," and in the high-risk pool of what doctors call "AquaNet Lung." Supporting beard clubs whenever and however he can, Chad stands by the New World bearding traditions of raising funds for local charities, the inclusion of all who support facial hair, and enjoying a beer with friends who hail from far-flung places. Thank you for joining us this year Chad! Host Hotel: The Comfort Inn & Suites Virginia Beach-Oceanfront at 2015 Atlantic Avenue, Virginia Beach, VA 23451 is once again our host hotel! All rooms are suite style with balconies facing the Atlantic Ocean. Comfort Inn offers a complimentary deluxe continental breakfast, an INDOOR POOL and it is literally across the street from the venue! The rate for these rooms is only $79.00 a night and can be booked by calling (757) 425-8200 and mention either "HAMPTON ROADS BEARD & STACHE SOCIETY" or "HRBSS". You cannot book this rate online. The deadline to reserve your room at this rate is October 27, 2017. Whiskerina Creative - Create the most imaginative, creative, and fantastic facial hair of any style you can. Creativity and craftsmanship is encouraged. Whiskerina Realistic - Create the most realistic-looking facial hair of any style. Creativity and craftsmanship is encouraged. Remember, the goal here is to have it look as real as possible. Natural Mustache - The mustache as it grows naturally, the more natural the better! A natural mustache is any length of hair grown from above the upper lip and underneath the nose, with no styling products permitted. NO BEARDS or any other facial hair are permitted in Mustache categories. Styled Mustache - A styled mustache is any length of hair grown from above the upper lip and underneath the nose, styled with any product. Styling aids are permitted. NO BEARDS or any other facial hair are permitted in Mustache categories. Partial Beard Natural - A natural partial beard is any facial hair that is neither a full beard, nor only a mustache, with no styling products permitted. Common styles include: Goatee, Musketeer and Van Dyke. Partial Beard Freestyle - Any facial hair that is neither a full beard, nor only a mustache, styled with any product. Styling aids permitted. Full Beard w/ Styled Mustache - A full beard of any length with a styled mustache incorporated. Mustache can only be style using aids. Mutton Chops/Sideburns - The chin is shaven & hair is optional on the upper lip, no styling aids allowed. Donegal/Whaler - Also known as “Amish” beard, a full beard with no mustache, no styling aids allowed. Business Beard (0-2in) - A full beard, with all parts of the beard and moustache grown, to a length of no more than two inches. Full Beard (2in-8in) - A natural full beard is a full beard, with all parts of the beard and mustache naturally grown, with no styling products permitted. Acceptable styling methods to be used with a natural full beard include brushing, combing, conditioning, and shampooing. Full Beard (8in and over) - A natural full beard is a full beard, with all parts of the beard and mustache naturally grown, with no styling products permitted. Acceptable styling methods to be used with a natural full beard include brushing, combing, conditioning, and shampooing. Full Beard Freestyle - A styled full beard is a beard, with all parts styled with any product. Styling aids are permitted. Red, White, and Beard - Open to any Veteran or Active Duty military service member with any style of facial hair. No styling aids allowed. 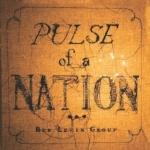 Best In Show (Men & Women) - Best In Show contestants are all the 1st Place category winners. We will have a Best in Show award for both Men and Women.